Listen to our latest radio ad below! Our web page shows a selection of our preferred properties and options for a trip to Norfolk Island, please do not hesitate to enquire about other options that we have not shown if required, as we book all accommodation and touring on the Island, not just the selection show on our web page. This is just our selection of some of our preferred reputable suppliers – we’ve been coming to Norfolk Island rather a lot (!) for 12 years and know the good spots. We’d love you to benefit from our experience. 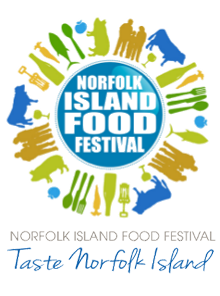 David & Kylie Bantoft, the owners of Norfolk Select, have in excess of twenty years experience in the tourism industry and we focus on the Island because we think it’s a fantastic place and want to encourage as many people as possible to visit. We can proudly say we have grown our business mainly from delighted customers. We feel no-one could do our business better justice or care for our clients like we do when it comes to Norfolk – we really do adore the place and the wonderful people. Whether you are an individual traveller or part of a group from 10 – 50 people plus, we meet all the requirements towards a wonderful trip away, with attention to detail to ensure superb personalised service. We have a tremendous working relationship with many suppliers on Norfolk Island from the airlines, accommodation, touring, car rental suppliers to the restaurateurs and we hope you can benefit from our experience to plan a magnificent trip. David Has Had Over 100 Visits to Norfolk Island! David has had over 100 visits to Norfolk Island over the past years. We are an ATAS accredited travel agency, with a client trust account and we comply with all requirements governed by the industry through Fair Trading. We hope you find our web site most informative and helpful, along with very easy methods to obtain quotes and book your holiday or package with us. Please do not hesitate to contact us direct on our toll free telephone 1800 724 400 or email us via our contact form. Many clients choose to book their travel requirements with our office from our web page, and we are pleased to advise we accept American Express and Diners Club – please note that you will incur a 1.8% credit card fee for using these cards. We also accept Visa and MasterCard credit cards with a 1% fee. We also have the option of paying by direct credit transfer from your account to ours through your internet banking or you may wish to pay by cheque, the choice is yours. We will still have direct contact whether by email or phone and will always forward to you a booking confirmation in writing with all your travel details.